THE PRIZE: Five sets of Amazing Shine Lashes and a tube of Duo Glue. 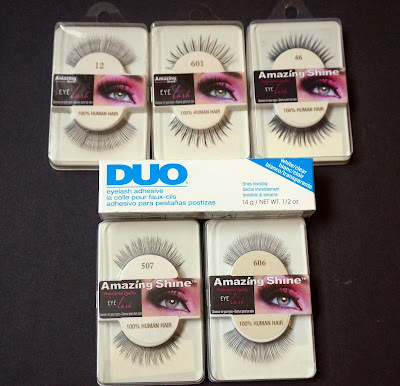 Both these products are used by professional make-up artists and, unless you are allergic to latex, Duo glue is a fantastic glue that works with every kind of false lash. The fine stems used by Amazing Shine make them incredibly easy to apply and if you treat these lashes nicely (removing the bits of glue after use) you can get a couple of uses from each set of lash. 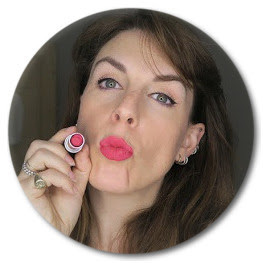 HOW TO ENTER: Leave me a comment below but those who are Subscribers to my YouTube channel will get entered twice! If you are a subscriber let me know in your comment. Good Luck! Id love to win these as a stocking filler for my sister! These look really handy for all these xmas parties coming up, 1 set for all works for me! Cost effective and easy! Good Luck to all. would love to win these have my 18th party coming up! I would love to win these..
Great prize - hope to win! Ooh very pretty, i love falsies! I've just started wearing false eyelashes again, love them!